COLUMBUS — The BEEF 509 program raises awareness about the beef that is produced and the reasons why it sometimes misses its mark with consumers’ palates and producers’ pocketbooks. The program will take place Feb. 25 and March 4. The program scheduled for Feb. 25 will include a live animal evaluation session and grid pricing discussion. Carcass grading and fabrication are among the activities that will take place March 4. The program will take place at The Ohio State University Animal Sciences building in Columbus. All the same information and activities from past 509 programs will be included. It is critical to attend both sessions as participants will be assigned to teams that will work together throughout the program. A maximum of 32 spaces will be available on a first come, first served basis. 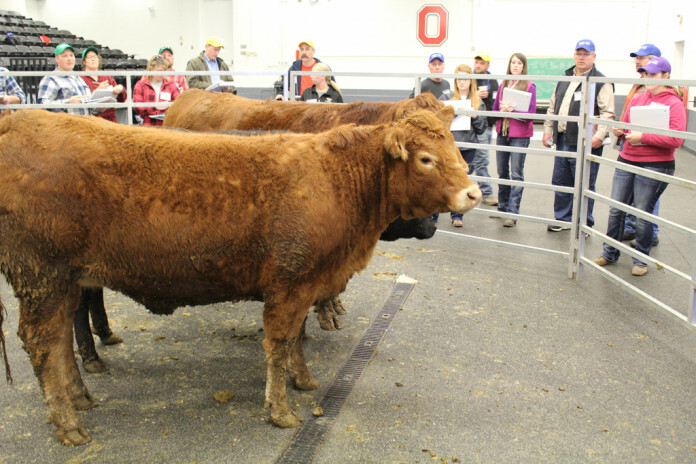 If interest in BEEF 509 exceeds the 32 spaces provided, names will be held and applicants notified of upcoming sessions. The registration fee for each BEEF 509 participant is $150. The registration deadline is Jan. 23. The program is the result of a partnership with the Ohio Beef Council, The Ohio State University Extension and The Ohio State University Department of Animal Sciences. These entities will be funding all remaining costs associated with the BEEF 509 program. For additional information on BEEF 509, call the Ohio Beef Council office at 614-873-6736, email beef@ohiobeef.org or visit www.ohiocattle.org.